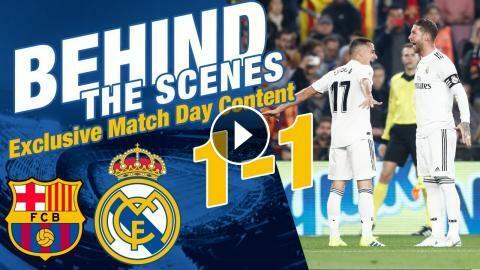 Relive Real Madrid's Clásico match against Barcelona in the first leg of the Copa del Rey semi-final and enjoy exclusive behind-the-scenes footage! Real Madrid vs Barcelona | Warm up before the LEAGUE Clásico! El Clásico | Real Madrid train before LaLiga Clásico against Barcelona! EL CLÁSICO | Real Madrid train before Copa del Rey semi-final against Barcelona! Real Madrid's best Clásico goals against Barcelona.